For the city in the US state of Alabama, see Birmingham, Alabama. For other uses, see Birmingham (disambiguation). 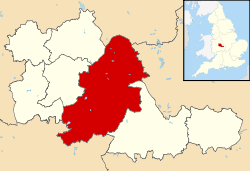 Birmingham is a city and metropolitan borough in the West Midlands, England. More than one million people live in Birmingham. 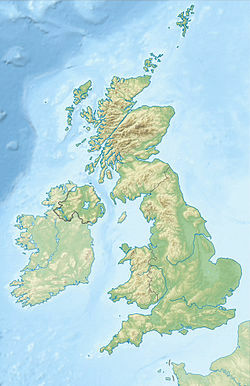 It is also within the UK's second biggest metropolitan area, which contains nearly 4 million people. 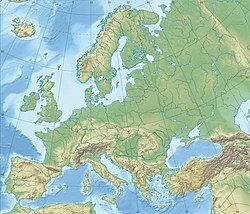 It contains a wide variety of creeds, races and religious communities. 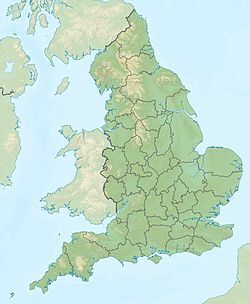 Many people call it the "second city" of the United Kingdom. Birmingham began as a small town in 1166. Many industries were developed in Birmingham during the 18th and 19th centuries. These included making weapons and food. Queen Victoria gave city status to Birmingham in 1889. It played a big role in the war effort in the First and Second World Wars. However, there is now a far lower amount of industry than at the end of the war. ↑ 2.0 2.1 "Global city GDP 2014". Brookings Institution. Archived from the original on 4 June 2013. Retrieved 18 November 2014.